Hi everyone! I’m feeling better after spending the last few days stuck in bed, moping around and watching Scrubs & Regular Show. 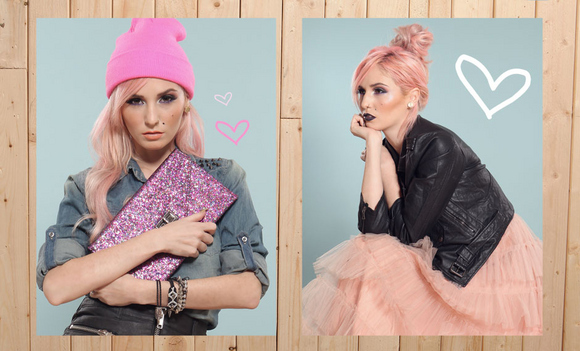 Luckily I remembered one of my favourite people in the universe Audrey Kitching’s Lookbook for Gypsy Warrior was out! I could go on & on & on, about my love for Audrey but I’ll leave that for another day. Some of my favourite pieces consist of the pink beanie, flower headband, ivory skater dress, black faux fur jacket, and striped dress outfit, gimme! 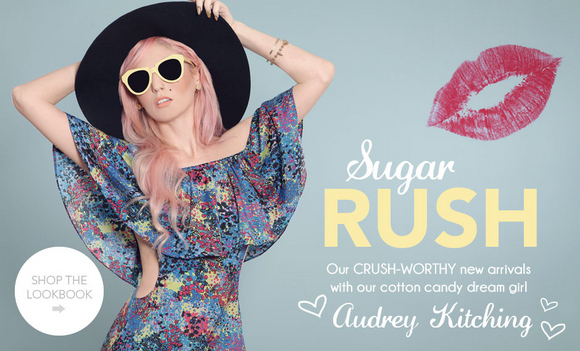 I love all the looks because they are very Audrey! I don’t have time to make a Polyvore of my favourite pieces seeing that I have to leave for work in 11 minutes, but I will try to make one later tonight! What’s your favourite look of Aud?